Burn, copy and rip - easily and free of charge! 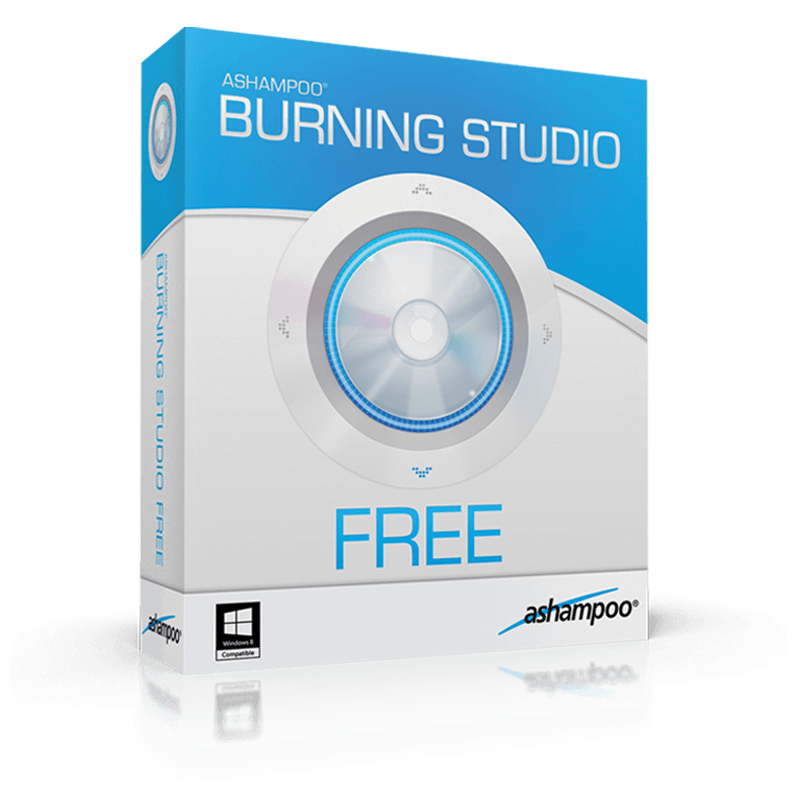 Ashampoo® Burning Studio FREE is your fast and hassle-free disc burner. Burning Studio is a feature-rich and dependable burning software with everything you need to burn and back up data, rip music discs, create audio discs or burn existing videos, like MP4 files, and photos to Blu-ray and much more! With its intuitive interface, the program is ideal also for beginners who'll achieve great results fast. Supported media include CD, DVD and Blu-ray discs, including rewritable discs and the ability to erase and reuse them, with customizable burning settings for maximum versatility. Burning Studio FREE also has a lot to offer for music lovers: CDs can easily be ripped and their audio extracted with automatic song and album detection to avoid manual file naming. Output formats include MP3, WMA and WAV at various quality settings. Aside from traditional audio CDs, the freeware also burns MP3 or WMA files to disc for hours upon hours of listening pleasure. Built-in normalization helps level out volume discrepancies and the integrated audio player is perfect to preview your songs beforehand. Ashampoo® Burning Studio FREE also burns HD and Full HD movies (720p and 1080p) from a prepared folder. Video and Super Video CDs (VCD and SVCD) are equally easy to create. 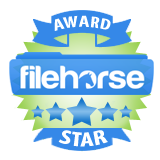 Naturally, the freeware also copies CDs, DVDs and Blu-ray discs in just a few clicks. The program also features powerful backup technology to burn and store your data on disc or external drives for safekeeping. Built-in compressions help keep file sizes small and password-protection ensures your data won't fall into the wrong hands. Backup too big to fit on a single disc? No problem, disc spanning automatically splits it up into smaller segments across multiple discs. Professionals in particular frequently work with disc images, e.g. ISO files. Ashampoo® Burning Studio FREE is the comfortable way to create and burns file images. Apart from Ashampoo's own ASHDISC format, ISO and CUE/BIN are also fully supported. Turn your CDs, DVDs and Blu-rays into images with Ashampoo® Burning Studio FREE! 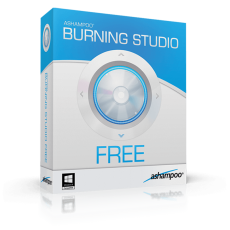 Ashampoo® Burning Studio FREE is available for download and usable free of charge, always - guaranteed! Get the best program for your disc recorder! The new Ashampoo Burning Studio 19 takes the next step towards the perfect burning suite. Scratch protection allows you to create data discs that remain readable even when their surfaces have been severely scratched! The new history feature restores the 20 most recent projects - including all user modifications and input. The easy-to-use video editor is the fastest route to quality movies and the car radio module now supports over 1000 models. And how about numerous new templates, themes and menus for your multimedia projects? Enjoy the best Burning Studio of all time! The new and free Burning Studio FREE lets you create discs rapidly with maximum quality and minimum effort.